This competition is now closed, winners will be announced and prizes posted out shortly. 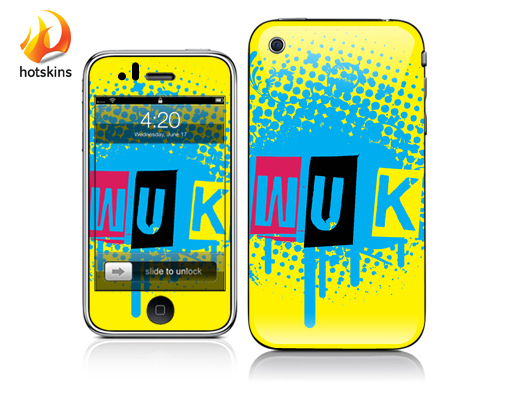 To coincide with the start of the 2010 season Wakeboard UK have teamed up with Hotskins to give you the chance to win 1 of 5 iphone skins. 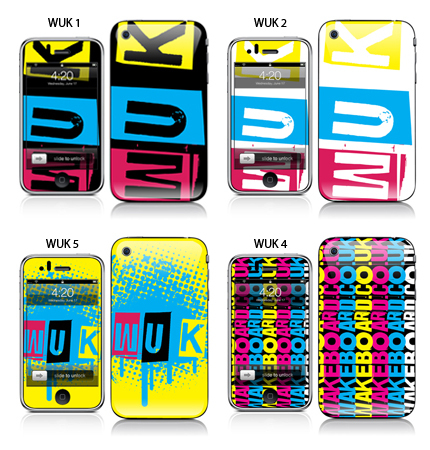 The designs are fresh off the press and incorporate Wakeboard UK and WUKMag logos, just the thing to brighten up the cover of your iphone. To enter view the designs below and simply email competition@wakeboard.co.uk with your name and favourite design code from below eg "WUK 1". We will draw 5 winners out of the hat on 05/April/2010, announce the winners and send out the free skins, simples!